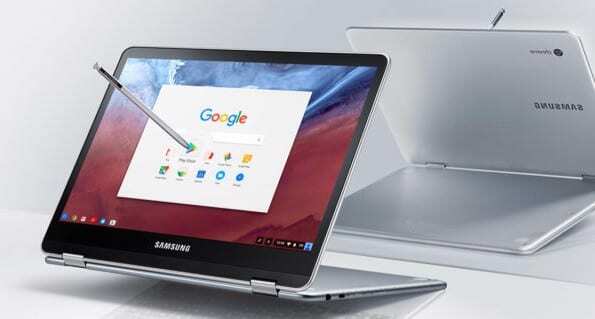 The Samsung Chromebook Plus continues to carve its place as the poster child for the next generation of Chrome OS devices. The OP1, ARM-powered convertible is proving itself to be more than just a novelty and tend to feel the Samsung Chromebook Plus has raised the bar for manufacturers. It’s no secret that the Samsung Plus and Pro’s birth were, in part, thanks to collaborative work from Google and the developers of Chrome OS. Google’s support did not stop there. 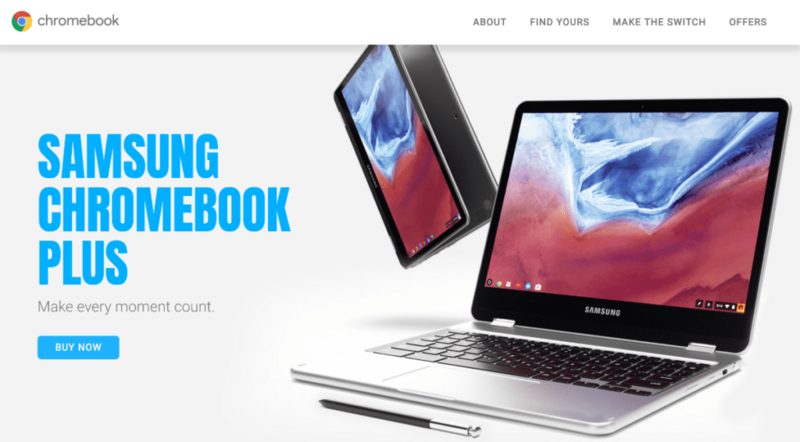 Along with a well coordinated, bi-costal press conference last month, Google is now giving the Samsung Chromebook Plus the headliners spot on their own landing pages. If you head over to Google’s Chromebook page you will be greeted with the above image and the chance to “buy now” if you are so inclined. To me, this is a sure sign of not only Google’s commitment to Chrome OS devices but their line in the sand that Chromebooks can be and are devices for the masses. As with other retailers, the Samsung Chromebook Plus will run you $449 plus tax with free shipping. You will also be informed that with your purchase you will receive a $20 Play Store credit with your new Samsung. Great news. But, just to be clear, this isn’t a Google exclusive. We received the same promotion with the one we bought from Best Buy. Aside from a few users who seem to be having an issue redeeming the offer, it appears this credit applied no matter where you purchase. The Samsung Chromebook Plus is available from Samsung, Google Store, Best Buy and Amazon. Apart from a laptop trade-in promo that Best Buy is running, it’s really pick your poison and purchase where you would normally.